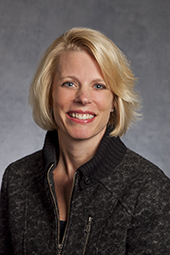 Carol McKnight joined the Company in June 2014 as Senior Vice President of Global Human Resources. In 2017, Carol was named SVP and Chief Administrative Officer. Prior to joining Tennant, she was Vice President of Human Resources at ATK (Alliant Techsystems) where she held divisional and corporate leadership positions in the areas of compensation, talent management, talent acquisition and general human resource management. Prior to ATK, she was with New Jersey-based NRG Energy, Inc.